add everyones names- kids will appear in age order; eldest to youngest (refer to product images for layouts or get in touch if unsure) type text exactly as you wish it to appear with all punctuation. leave blank if you do not wish to have any text. 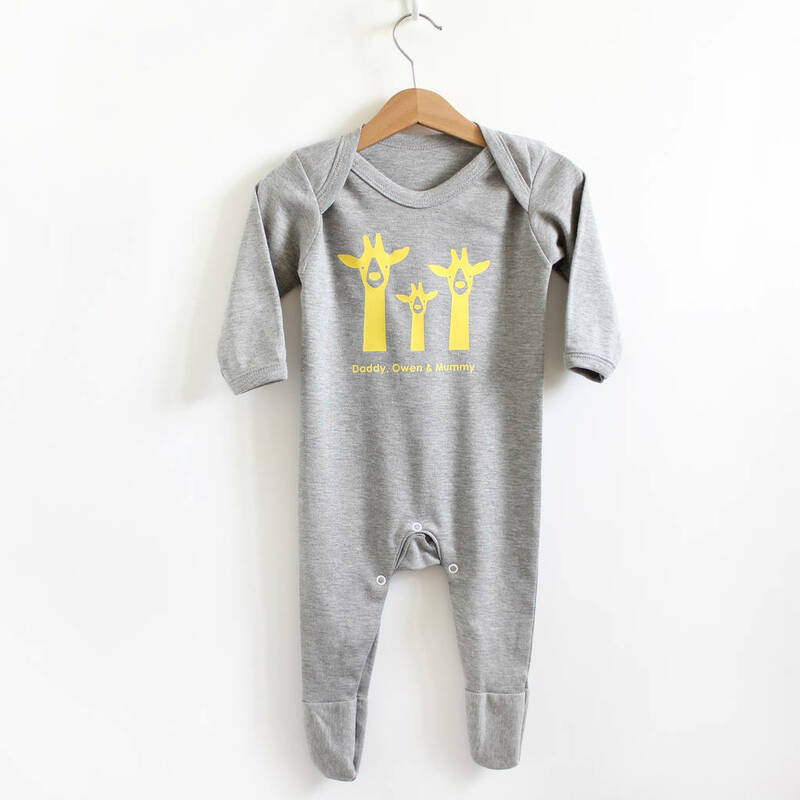 Our personalised giraffe family babygrow is a lovely new baby gift that celebrates the whole family, with names included. 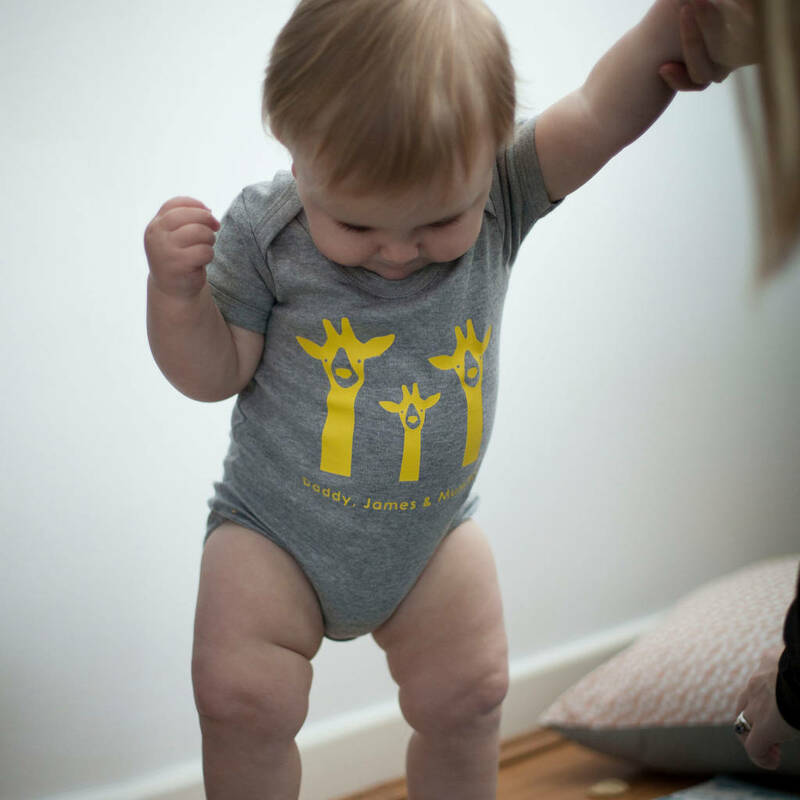 Welcome your newest bundle of joy with our lovely giraffe illustrations, hand-pressed onto our soft cotton babygrows and personalised just for you. You can choose your family combination, whether one parent or two, and up to three babies ( if you need morre just get in touch). Each member of the family is represented by a big or little giraffe, and we can add adults, twins or other combinations if needed. We hand-press everything at the studio to order, so we are able to tweak the layout of names if there are any longer names. 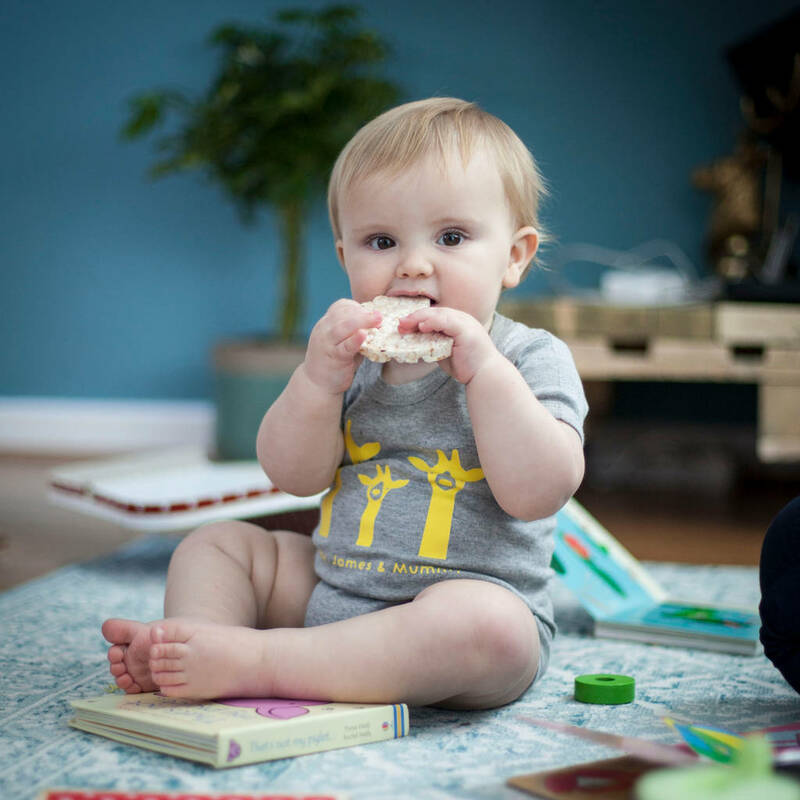 We have a range of sizes available: 0-3m, 3-6m, 6-12m. 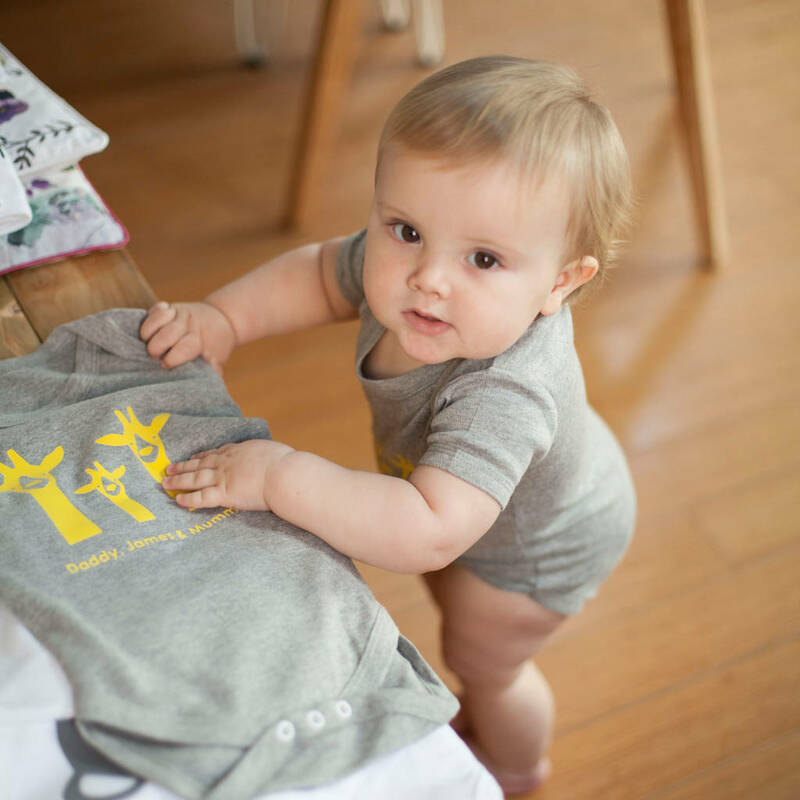 All our baby grows and t-shirts are available in white or grey, with long sleeves, short sleeves and with feet. We have a wider coordinating range available, so please do check out our full collection. If you need any help or have any questions, please don’t hesitate to get in touch. Once your order has been hand-printed, we’ll send it out in a lovely cello bag for you to wrap or put straight on! FAMILY LAYOUTS - babies will appear in age order (from eldest to youngest) please type the babies names in age order. Please note that families with 2 or more babies will appear on two lines - parents on the first line with babies below. To see all layouts please refer to product images, if you are unsure just send us a message. Oeko-Tex® Standard 100 certified cotton. Please follow the care label instructions. The baby grows can be washed up to 40 degrees, they should NOT be tumble dried. Iron on reverse. We recommend washing the garment inside out.